I come from a long line of women who work with their hands- sewing, needlepoint, embroidery, quilting, crocheting. They create by binding together thread and cloth. Their labors cover the walls of my home and wrap me in warmth as I relax on the couch. I wore their confidence in numerous baton competitions as a child and wore their love on my wedding day when I was grown. 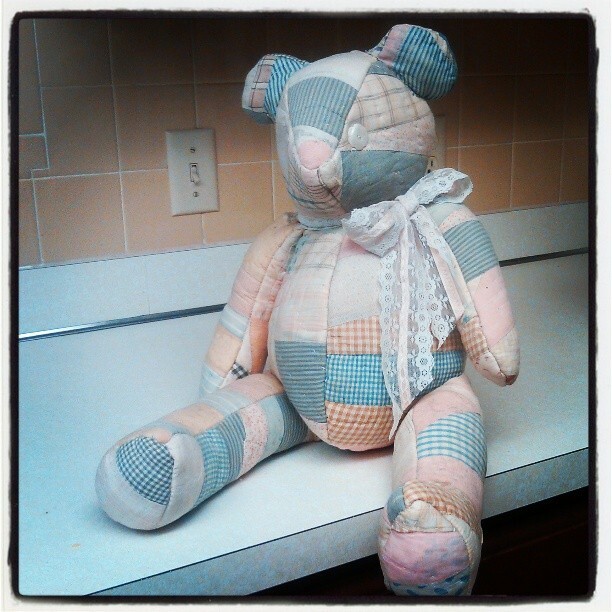 One of my favorite pieces is a bear made from an old quilt which belonged to my great grandmother. It’s clothed with a double portion of love. I imagine her piecing together the scraps of cloth by hand, those same hands she folded in prayer for me long before I knew Jesus. I remember my mother fashioning the quilt into a new blessing rather than tossing it because it was worn and tattered, just as Jesus fashions my brokenness into blessing and new life. I am bound to these women by their words, their gifts, their blood. The same is true of my Savior. Jerusalem built as a city that is bound firmly together. Other translations of this verse use the word joined or compact instead of bound. What experiences have bound you to something or someone? 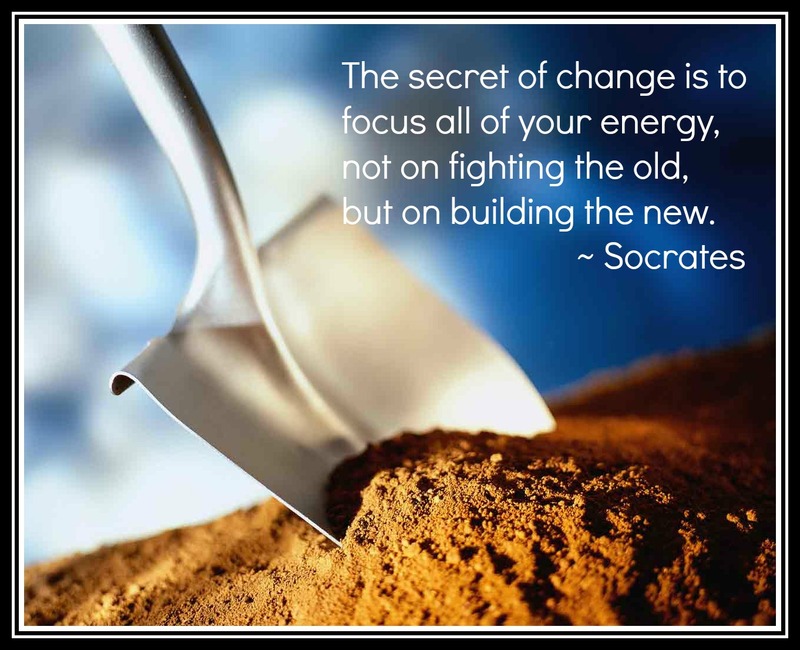 What people and places have built you into the person you are today? What memories do you join together to keep you going? This morning I had the great blessing of volunteering at my first Habitat for Humanity build. It was thrilling. The weather was glorious as was the smell of new lumber, the music of the nails, and the smiles of the many, many volunteers. I cannot encourage you enough to give this a try. There are plenty of ways to help, even if you are like me and have no construction skills. This is the 12th house the good people St. Ann’s Catholic Church have built in our community. 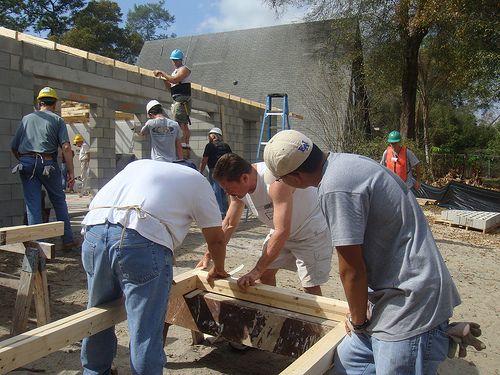 The Community UMC family was thrilled to be invited to partner with them on this home. Their generosity and hospitality reflect Christ beautifully. We look forward to many more community projects with them. Preach the gospel at all times; when necessary, use words. – Often attributed to St. Francis of Assisi but the author is actually unknown. with mortar made of sweat and prayer. and sealed with blood that will not wear. so hearts and souls and minds are fed. from all that binds Your holy work. All praise the Master Carpenter. from us once dead, but now alive! For more information on the use of the quotes, scripture translation,and this resource in other settings, please refer to the copyright information page.